Have you heard? Floral ties are now the power ties. The patterns are an unexpected touch in the boardroom, one that no pin dot or repp stripe can compete with. 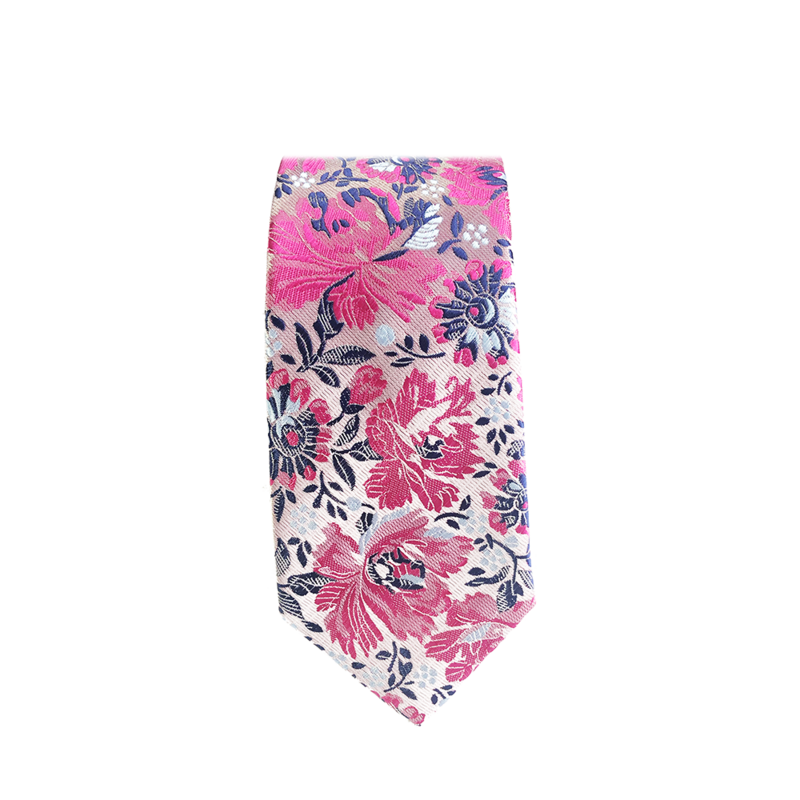 This skinny tie has a powerful pink and gray floral design.